Michelle was awesome as she assisted us with getting us back "online"
We had to be at the house waiting for the cable company to come and repair services. We had no phone, cable or internet for two days. We appreciated your flexibility. the cable service for this property has been challenging, but we believe it is now resolved. We love this house. We've stayed there for 10 years. Every one of the women we talked to were very courteous & quick to help. Love your organization! Sophie's place is a wonderful spot for us. We hope to return next summer for a third year. The location is great for young adults as well as children. As a family, Cannon beach is our favorite place to go! Thank you for your comments. We know that you were not completely happy about everything from additional remarks you made available. We just want you to know we will pass your requests on to the homeowner. Again, thank you and hope you come back again next year! Love Cannon Beach and have come to area since 2002. We loved our rental, and really enjoyed our stay. 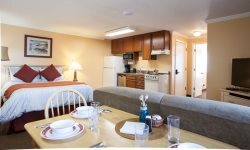 We will check Cannon Beach Vacation Rentals first next time we head to Cannon Beach. From the 1st phone call to check out everyone was so kind and knowledgeable. We booked late, and the team member spent time helping us find a property that would fit our needs. Drift on Inn is a beautiful home that made our stay enjoyable. We especially liked the number of bedrooms and bathrooms. The kitchen was spacious and suited our needs well. The kids enjoyed walking the block and a half to the beach every morning to collect sand dollars. The neighbors were also very friendly. This is our 4th time booking with Cannon Beach Vacation Rentals and we will definitely continue to book through them in the future! I enjoy working with John. Thank you. The location is such that it is a short walk to town activities and mid-town amenities, plus great walking to the "Rock".